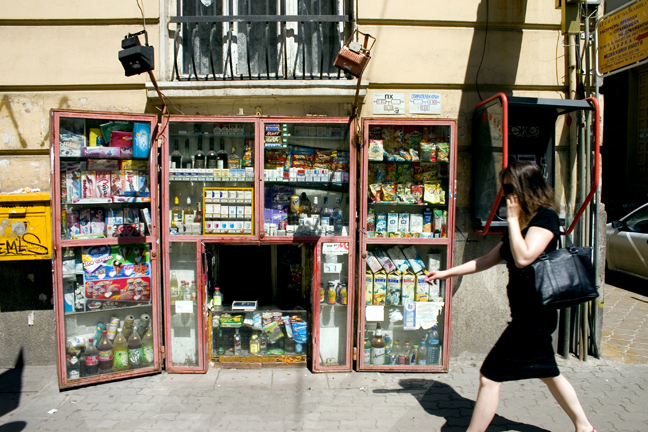 Ivaylo Getov Dot Com — Bulgarian "Squat Shops"
In the late 80’s, private ownership of production was legalized in Bulgaria. 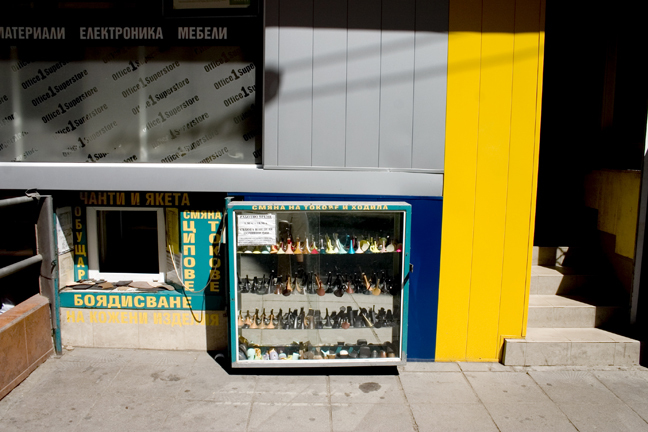 Among the first businesses to appear were these small “Squat Shops,” operated out of floor-level cellar windows. 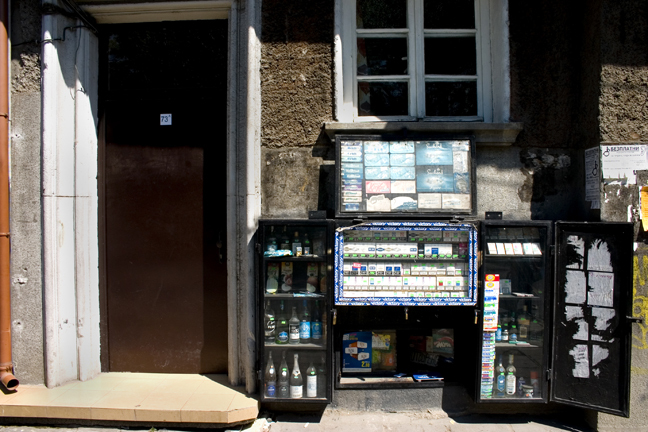 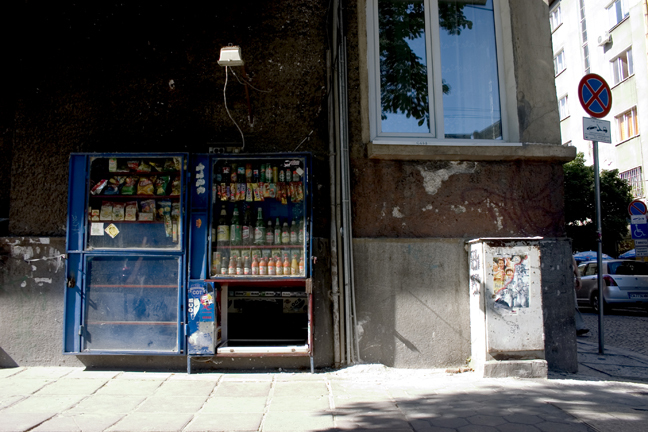 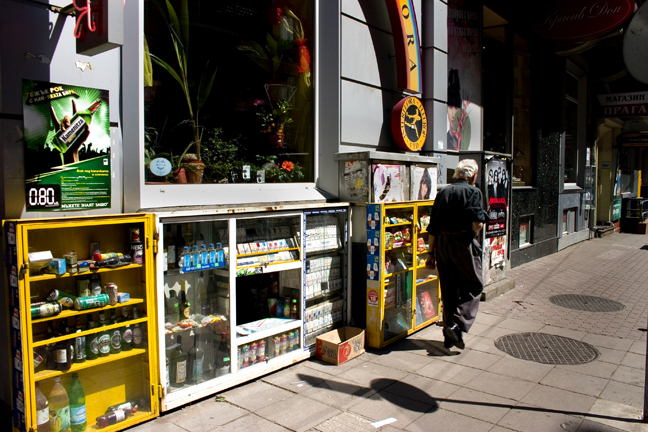 Despite more legitimate storefront space becoming available, these small portals remained operational and lucrative - miniature convenience stores catering to the cigarette fix of the passing pedestrian or the midday thirst of those waiting on bus stops, for which patrons have no objection to stooping to street level. 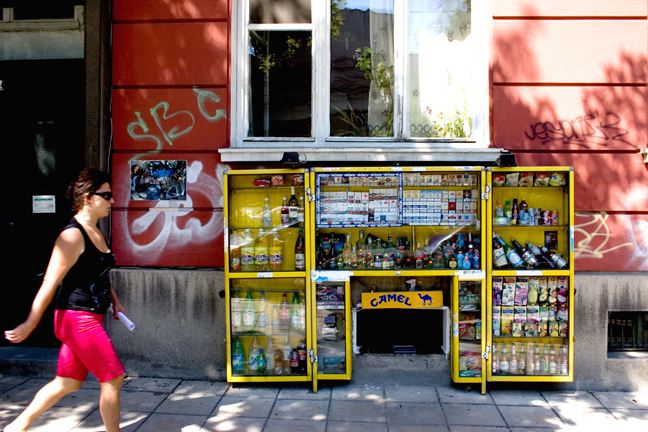 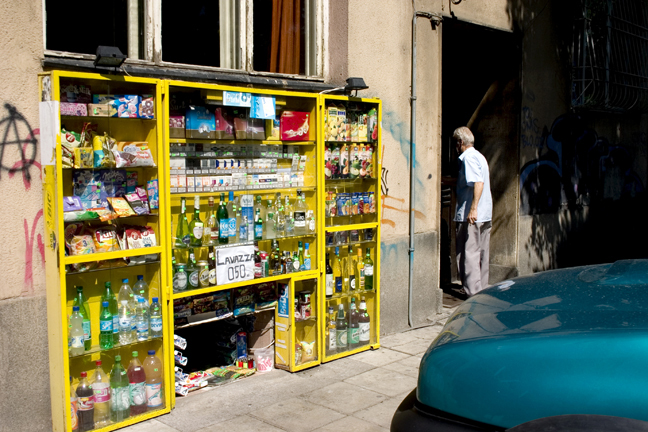 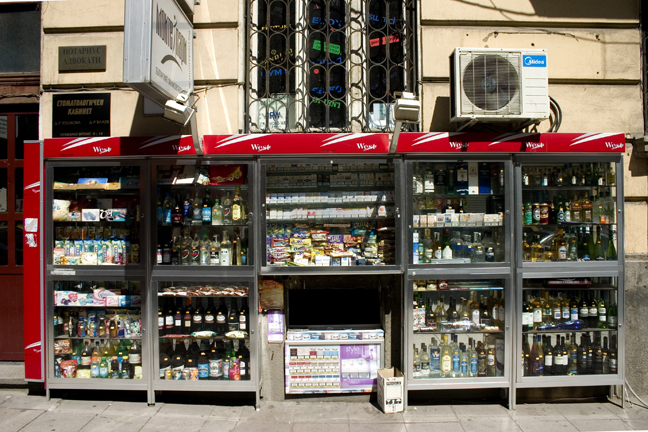 An idiosyncratic, now common element of the Bulgarian capital, over time the shops have evolved elaborate displays, framing the small street level openings with bottles of alcohol, coffee, and cartons of cigarettes, often in eye-catching bright colors.